TICKETS for Reading Festival have officially sold out with just couple of weeks to go. Revellers snatched up the opportunity to Kendrick Lamar and Dua Lipa and even more acts have been added to the alternative stage. But Its not all bad news! 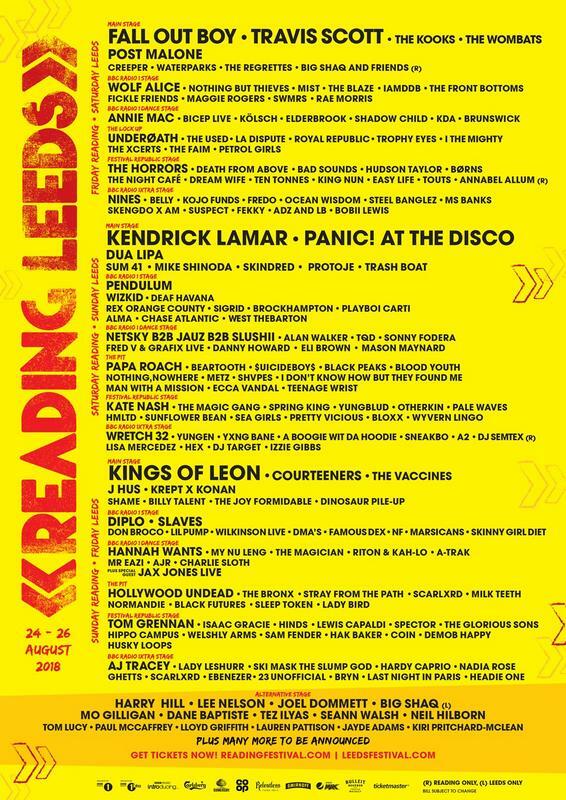 fans can still purchase tickets for Friday and Sunday as well as weekend and day tickets at Leeds Festival for the chance to see the same amazing line up including Panic! at the Disco, Travis Scott, Post Malone, Mike Shinoda, Wolf Alice, Dua Lipa, The Kooks, The Vaccines, Pale Waves, Slaves, Shame, Rex Orange County, Maggie Rogers and many more over the Bank Holiday weekend. See what you ca expect! Reading festival takes place between 24th and 26th of August.